Collections in the digital world: a case study of social enterprise: New British Library collaborative PhD studentship available: "Archiving the Games: collecting, storing and disseminating the London 2012 knowledge legacy"
New British Library collaborative PhD studentship available: "Archiving the Games: collecting, storing and disseminating the London 2012 knowledge legacy"
The University of Central Lancashire, School of Sport, Tourism and the Outdoors and the British Library are now recruiting for a collaborative AHRC PhD studentship exploring the management and dissemination of materials relating to the 2012 Olympics and Paralympics. More information is available at: http://www.jobs.ac.uk/job/AES852/ahrc-phd-studentship/ and the deadline for applications is 18 July. I'd particularly recommend considering this opportunity if you are a current library and information practitioner, with an interest in moving into academic research. 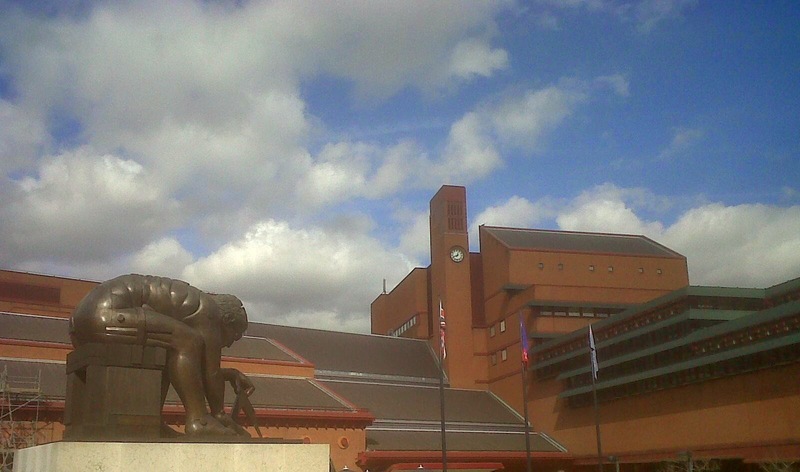 The collaborative PhD studentships provide an excellent opportunity to carry out doctoral research whilst spending time with the British Library. It's been a really extraordinary privilege for me to be involved in a project like this, and I'd highly recommend similar opportunities to others.